PrayTheRosary Apostolate, owner of Rosary Makers Guide and Rosary Makers Shop, was established in August, 2001 following the untimely death of my brother, and in thanksgiving for my own health being restored following a grave illness. During my illness, I experienced a spiritual awakening in which Our Lady and Our Lord manifested themselves to me in a life-changing event. I was healed of the physical aspects of the condition, but for a time I lived in a world of extreme mental confusion and fatigue. "Jesus, I trust in Thee." This simple but so powerful prayer, along with countless rosaries offered on my behalf, restored my physical and mental health completely over a period of two years. During that time, I began making Scapulars, both the Green and Brown, through the Scapular Guild and The Fatima Crusaders. And I have since learned and taught others how to make rosaries. To fulfill a promise made to the Blessed Virgin Mary,Our Lady of the Rosary, to work the rest of my life in her service, I founded PrayTheRosary Web Apostolate in order to reach a broader area of peoples to whom the Scapulars, Rosaries and other sacramentals could be distributed, free of charge. Our main purpose remains furthering union with Our Lord through the devotion of the Holy Rosary. 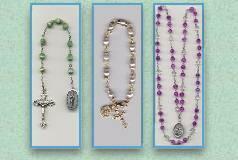 Our apostolate has grown over the years.We currently ship 400+ rosaries each month to Missions throughout the world. We support the work we do, in part, through sales on our webstore. 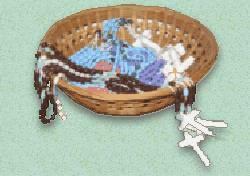 Our unique Rosary and Scapular Maker Kits provide the beginner with all the parts needed to make their first Rosary or Scapular. All revenue above costs are designated for our apostolate work: to provide sacramentals, free of charge, to Missions throughout the world, and to those in most need. Thanks Mike! Thanks Rachel! Thanks Kevin! 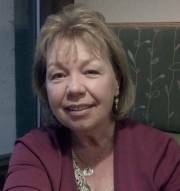 My family is of immense help to me, especially my son Michael who makes rosaries, acts as shipping clerk, inventory & quality control for our products and who tirelessly helps me keep records, send emails, and do my taxes! My granddaughter Rachel makes rosaries, takes inventory, and helps package the Kits we sell. My nephew Kevin procures Mission Rosaries, bundles scapulars, assembles Kits and works outside sales of our hand-made Greeting cards to raise monies for the support of our apostolate. Although Kevin is disabled, he is one of our best workers. 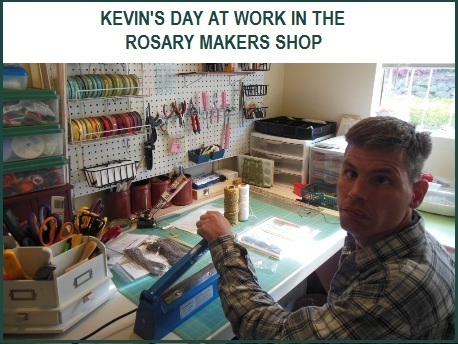 We hope you will enjoy this short video about Kevin's day at work in the Rosary Makers Shop. Grandson Gabriel, now 10 years old, is the newest family member to join our team. Since learning to make chain and cord Rosaries, he gets many requests to personally make rosaries for his classmates and teachers, and to do rosary repairs.